Station KBTX out of College Station, TX covers new Simtable installation by Texas A&M Forest Service. “New tool helps fight and prevent fires” story by Clay Falls. Create your own scenarios with customized agent-based models for wildfire, flood, evacuation, storms, airborne particulates, as well as biological and ecological behaviors, each based on your community’s data. The Visualization Center at San Diego State University (SDSU) is currently working with Simtable developing innovations in simulating emergency management. 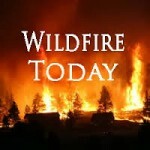 Simtable provides digital sandtables to the wildfire, emergency management, defense and urban security communities. Based in Santa Fe, NM Simtable is a world leader in agent-based modeling, data visualization and human computer interaction. San Diego Channel 10 News Coverage of Simtable’s use in San Diego State University’s visualization research lab (SDSU VizCenter). Previewing upcoming Simtable Version 2.0 which will be a free upgrade to existing partners. Inside the San Diego State Visualization Center, Justin Freiler is playing with fire, not literally but in the virtual sense. Bill Gabbert from Wildfire Today visits with Simtable in Missoula, Montana during the 2014 Large Fire Conference. The Santa Fe Scene is a video production team working with the City’s Economic Development Division whose mission is to highlight the movers and shakers in Santa Fe’s economy, and tell the stories behind the progress being made in arts, culture, business, and more in Santa Fe, New Mexico. Orange County fire officials show off a digital sandbox that lets firefighters recreate hills and valleys, giving them the ability to strategize in real time. NBC4 News at 5p.m. on April 22, 2013.